Is it just me or does it seem they took the concept behind the animated short, "Tokyo Mater" and expanded it to a whole movie? No mater how you feel about the trailer/film, this a Pixar release and will likely be better than 90% of most films out right now, live-action or animated. from what I hear most people are enjoying the new trailer and it's got a lot of people more excited about the movie as a whole. Really the only aspect of the film that can be compared to Tokyo Mater is the fact that they are in Tokyo for part of the film. They are in plenty of other cities/countries too. Don't get the comparison there. Anyways I liked the trailer. It should be a fun film. Honor, it sounds like you didn't really like it but you feel the need to defend it. Once again, I didn't like the way the domestic trailer was put together, especially the cheesy narration at the beginning (WHO is cutting Disney's trailers these days?). BUT, the movie itself looks like it will be a lot of fun. 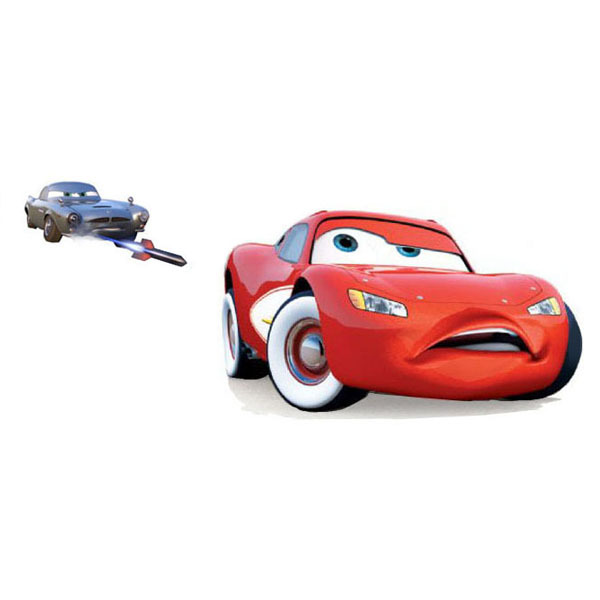 The idea of an international spy caper set in the world of "Cars" with Mater as the central character is so crazy and random that I kinda love it. RE: "Tokyo Mater", I do think one of the rationales for "Mater's Tall Tales" was to introduce the idea of Mater taking part in these outlandish adventures. Jim Hill says it was the other way 'round - they needed the plot device of Mater's tall tales getting him in trouble (by having somebody take him seriously), and so they created the tall tales shorts (including Tokyo Mater) as a way to introduce this new aspect of his character so they didn't have to waste a lot of film time doing it, slowing down the final film. for specifics of the look of Tokyo Mater vs Cars 2's trailer? much of that is simply Tokyo Mater being a "research" project for the final - every Pixar short (well, up 'til Day and Night) was generally a research project for something to come later, be it working with water, clouds, or character. In the case of Tokyo Mater, it was working on simulating "neon" and backlighting, which would be used in Cars 2 and Wall-E.
*Easily* my most anticipated film of 2011. At the moment I am actually liking the whole randomness about it. Just admit it. This film is a cash grab. Also, the first Cars as well as A Bug's Life were not better than 90% of films out there. When Pixar makes a great film - like Toy Story 1 & 2, Finding Nemo, or Up - they are masterpieces. However, they are fallible. Were A Bug's Life and Cars as good as Pixar's masterpieces? No. But clearly you haven't seen 90% of films out there. A Bug's Life and Cars were both good movies. Not great movies, but they were good. (I do rather like A Bug's Life, myself, though.) 90% of movies made aren't good. At least 50% of them are bad. So, Pixar is fallible - in the sense that not everything it makes is a masterpiece. But it has yet to produce an outright bad movie. Jim Hill is a piss poor fanboy site, with gobs of bad and mis-information. He's a terrible "writer" and just plain boring. Don't trust anything he "writes." You guys don't realize that Jim Hill used to work at WDI, right? That happens to be why he has the connections he does. He and his wife both were there and she used to teach about theme parks at college, so for all the fanboy gripping, the guy actually does know a bit about what he's talking about. He may not be someone that continually drinks the cool aid, but he does have street cred when he mentions some of what you happen to try and discredit. Jim Hill was the guy who predicted that 1906 would get/is stalled. And it would seem that he was right. I believe Honor was the first one to report on that. I saw his post and then Latino Review and others picked up on it a day or so later actually. There's a difference however. Jim Hill suggested it might be stalled WAAAY back in February 2009. Honor posted that in January 2010, and he doesn't suggest, he as good as says it IS stalled. By now I'm ready to agree, especially since Brad's directing M-I-IV instead. 1906 looks good, but I would rather see an Incredibles 2 from Bird. He does have some ideas anyway, he just doesn't have them all together (that's what he said three years ago, and nothing has been said since then).